Woke up to a hazy, but otherwise cloud-free sky at 7am. 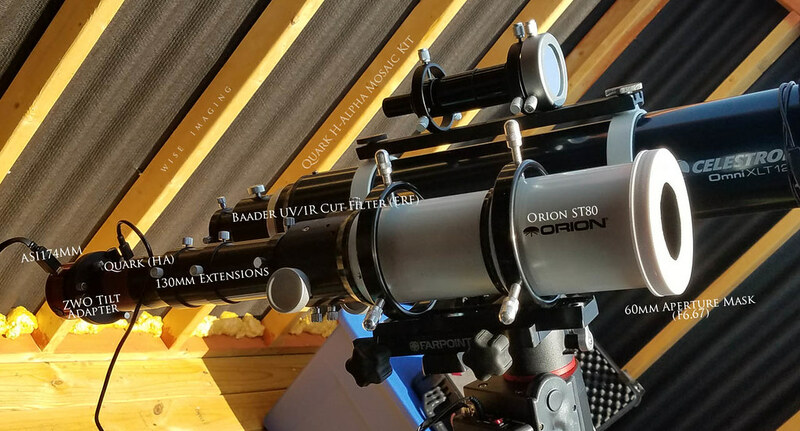 I went out to my observatory and prepared for some imaging as I checked GONG and AR2715 had grown significantly since yesterday from an active unnamed region to a large visible umbra and detailed pneumbra which is fantastic. 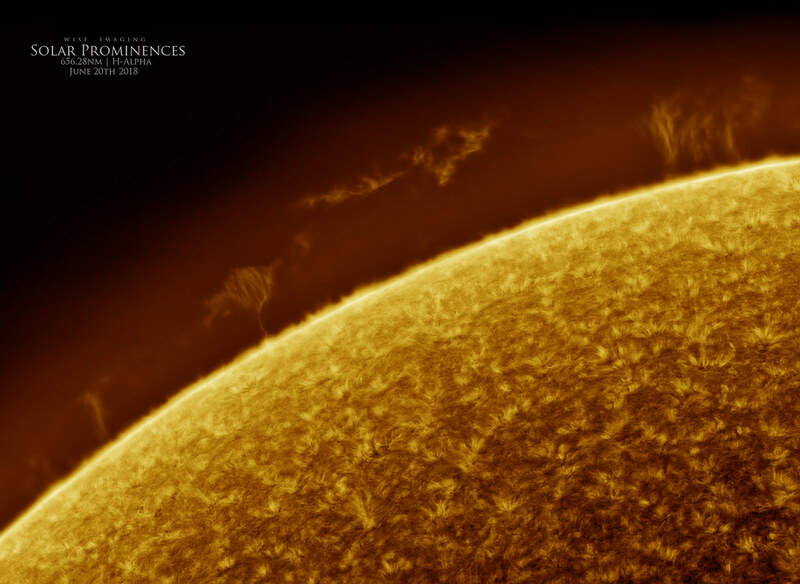 Great prominence groupings too, a big "floater" hovering the limb. I gathered the data in 656.28nm & 393nm to compare wavelengths. The full disc is another mosaic that stitched together fairly well. 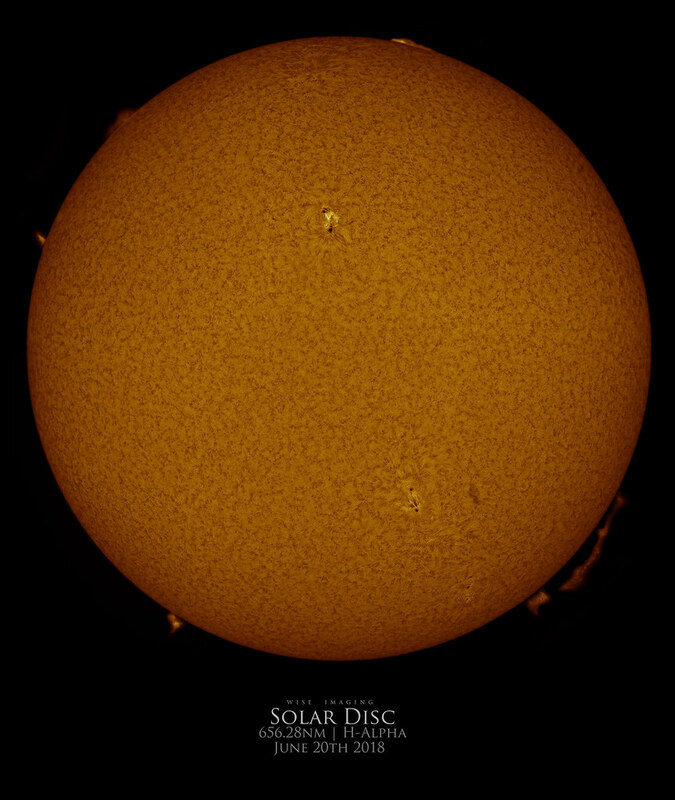 The sunspot groupings and faculae are awesome in 393nm. Only one word, Marty: Envy! Fantastic images, as usual, Marty! 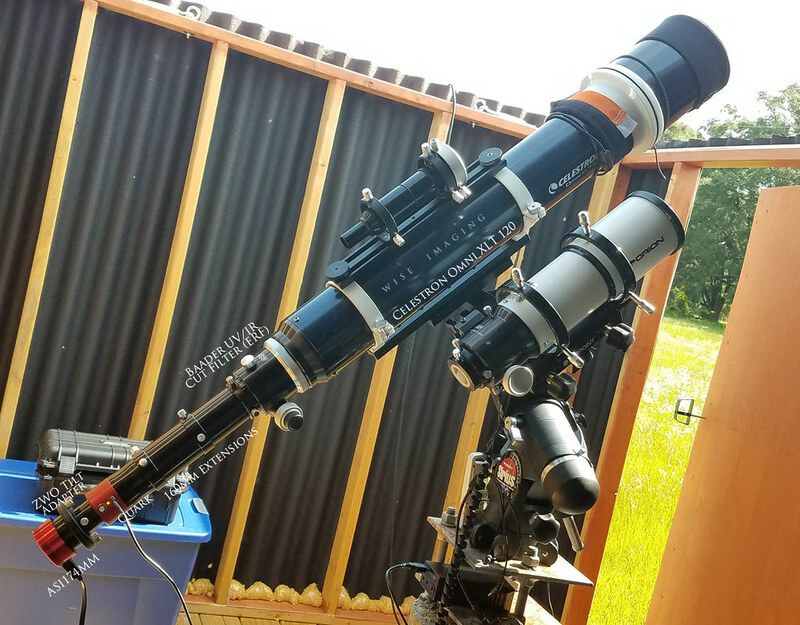 I love the prominences - and I really love the Ca-K images! Fantastic shots Marty! I was only able to do a quick capture through some sucker holes but they were great for the few minutes I could see them! Nice shots! 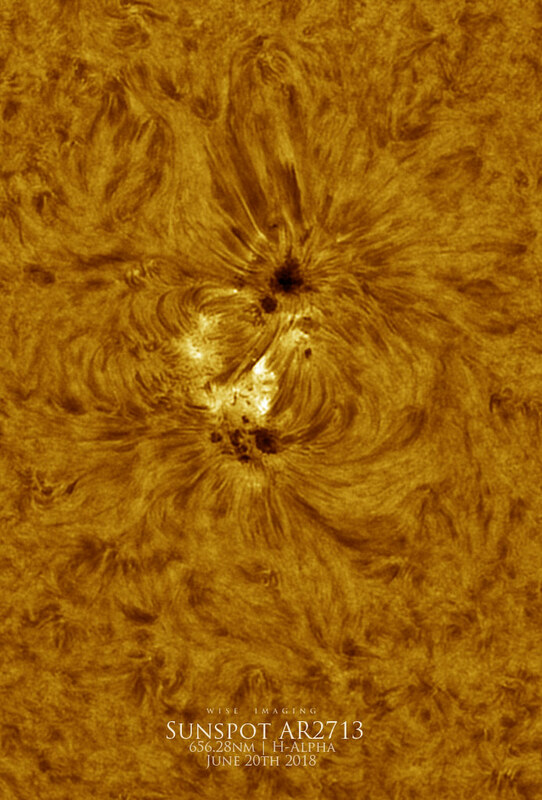 I especially like the high resolution shots of the fine arch filament system inside the active region AR 2715. 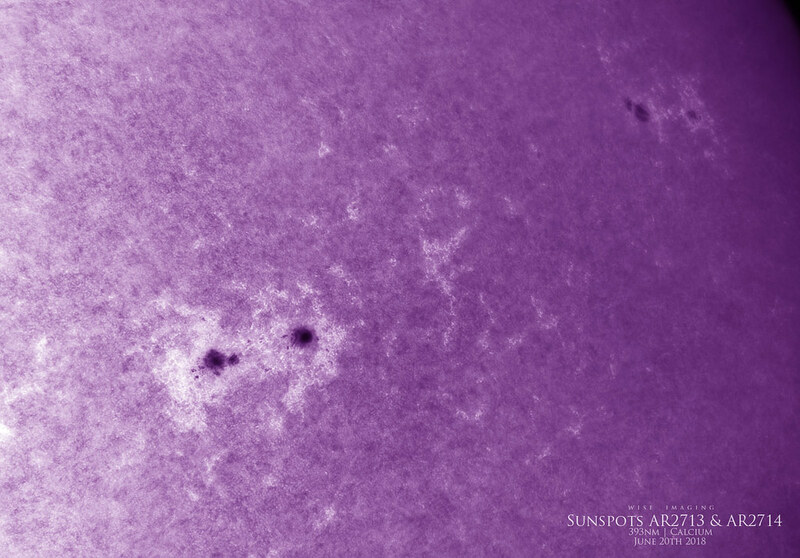 One note however: there is not really a need to say "Sunspot AR2713", as that is misleading. 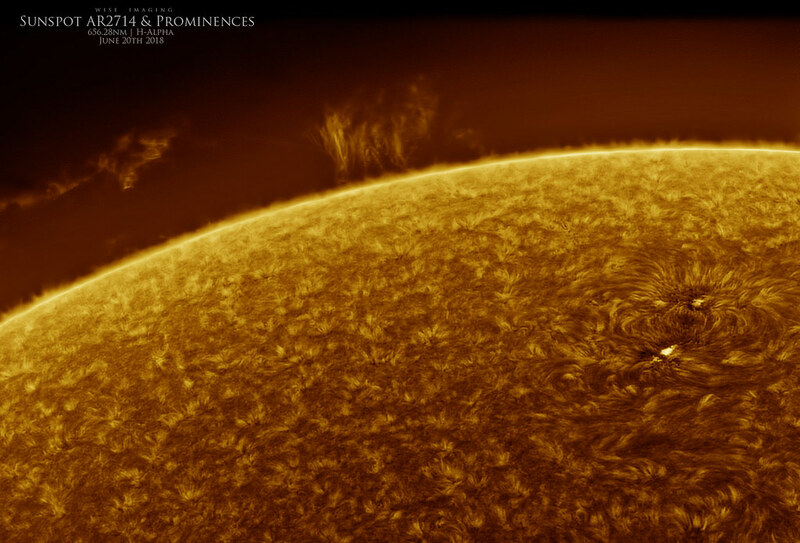 The area is called an "Active Region", which is the reason the "AR" is in front of the abbreviated NOAA Active Region number, so just saying AR followed by the number is enough. 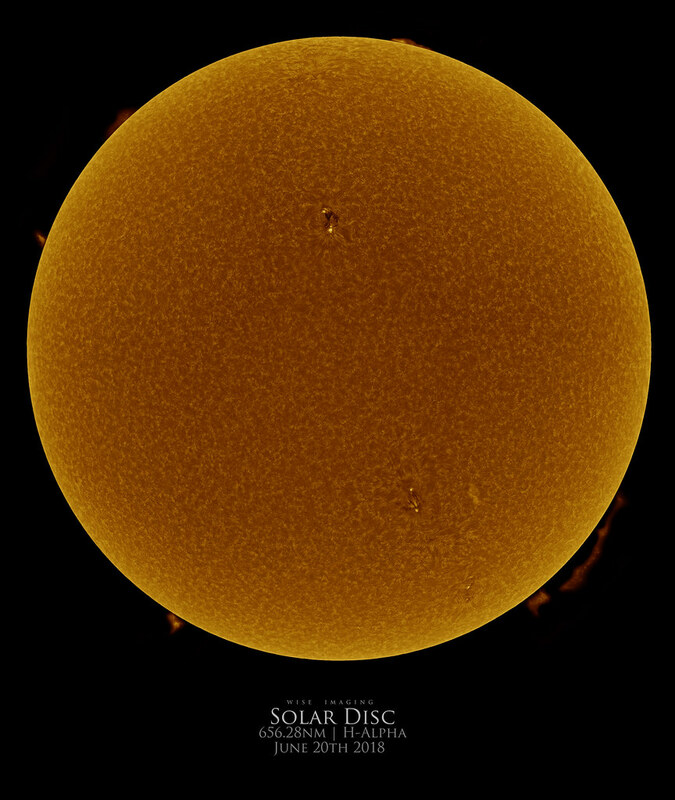 In addition to features like filaments, fibrils, Ellerman Bombs, and plage, numbered Active Regions often contain more than one sunspot (the NOAA AR numbers are usually not assigned to a single sunspot). 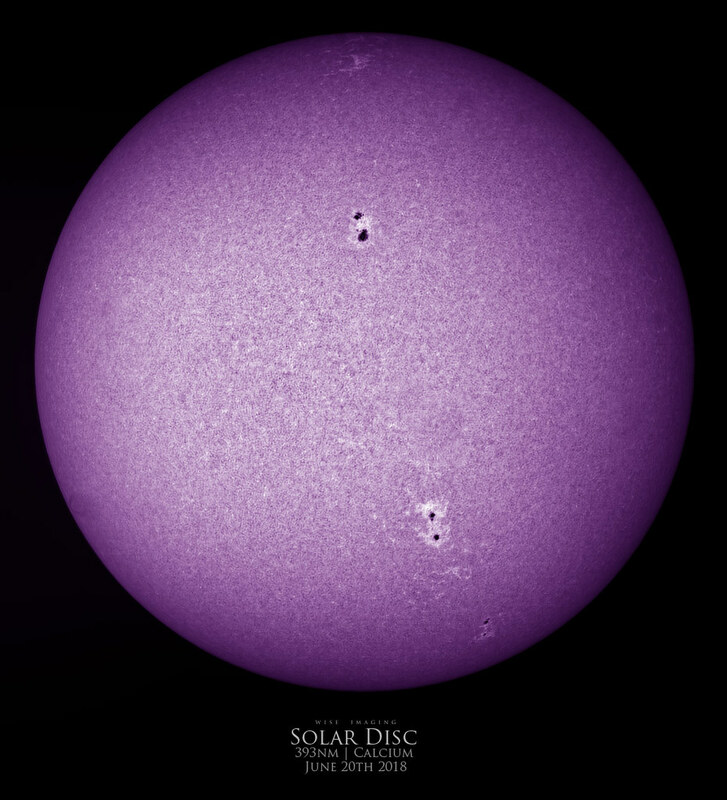 Indeed, some older numbered Active Regions can contain no sunspots at all. Clear skies to you. Edited by sushi1128, 22 June 2018 - 06:35 AM.